Keeping your house clean is crucial especially if some of your house members have an allergic reaction to dust. And occasionally wiping them out using a rag doesn’t help much. That’s why you should think of investing in the best upright vacuum cleaners. An upright vacuum cleaner requires minimal effort when cleaning the house. It gets rid of the dust and debris that might trigger an allergic reaction to your kids. Aside from that, it also cuts half the time you spent on cleaning your house with its efficient technology. Let’s get started with the Shark rotator professional upright vacuum cleaner. All you need to do is press the button to lift the canister away, and you can reach narrow areas to clean. It also features a premium pet power brush that can rid of pet hair. Thanks to its HEPA filter and anti-allergen complete seal technology, you can reduce the risk of allergic reactions in your house. Its innovative swivel steering with LED headlights will provide you great control when cleaning around appliances and furniture. Aside from that, included in the package is an XL-capacity dust cup. Now you don’t have to interrupt your cleaning by emptying the dust cup now and then. 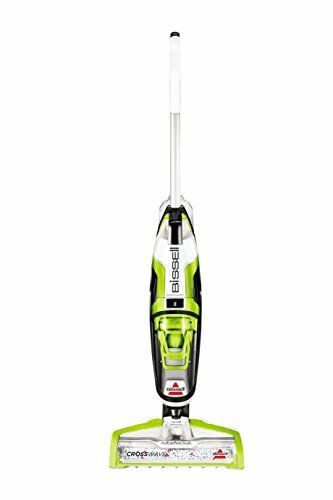 The Bissell CrossWave floor and carpet cleaner can vacuum and wash your floor at the same time. This multi-surface machine can clean hard floors and area rugs. It features a dual-action multi-surface brush roll that utilizes an innovative microfiber and nylon brush. Now you can mop and rid of dry debris without hassle. It also has a two-tank system that will ensure the cleaning solution and dirty water will not mix. Its smart touch controls on the handle make it easier to switch between cleaning area rugs and hard floors. The on-demand solution trigger will help you control the solution you’re using. However, make sure that you only use this vacuum cleaner on bare floors. 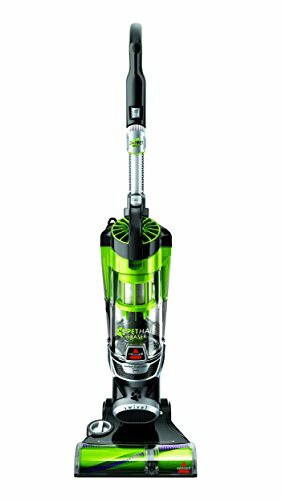 The ProTeam upright vacuum cleaner features a dual motor system. In that way, you will never have to worry about losing suction while cleaning. It can keep the power of the suction motor and the brush roller. Aside from that, its four-level advanced filtration with HEPA media air can improve the quality of air in your house. Its certified Bronze by Carpet and Rug Institute for your peace of mind. 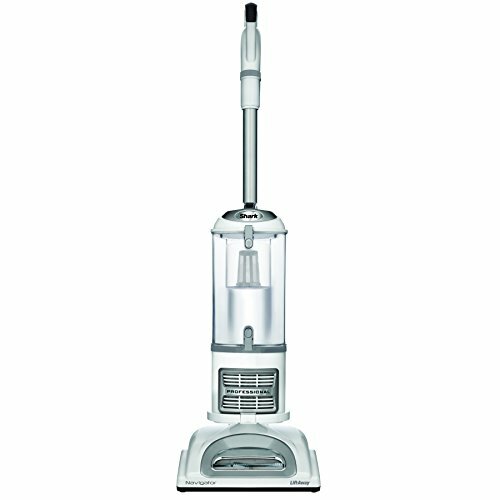 This vacuum cleaner is ideal for high-pile carpet and hardwood floor. On the other hand, the ultra-flexible hose and cleaning and can be used for cleaning narrow spaces. Its powerful 120V motor can be used for extended cleaning sessions. Thanks to its rubberized wheels, you can maneuver the upright vacuum cleaner easily. Its extra-long 50-foot power cord makes it a great tool for industrial cleaning. Another product from Shark is the Shark Navigator Lift-Away Professional Vacuum Cleaner. Similar to the previous model we’ve reviewed from this manufacturer, it is easy to operate. With just a single click of the button, the canister will lift and can clean hard-to-reach areas with ease. Aside from that, it is equipped with an anti-allergen complete seal technology and a HEPA filter, drastically cleaning the air in your home. This upright vacuum cleaner has a lightweight design. Weighing only 13.7 pounds, you can carry it anywhere you’d like. Furthermore, its brush-roll shutoff makes it ideal for cleaning deep carpet and bare floors. The dust cups have a capacity of 2.5 quarts of debris and dirt. 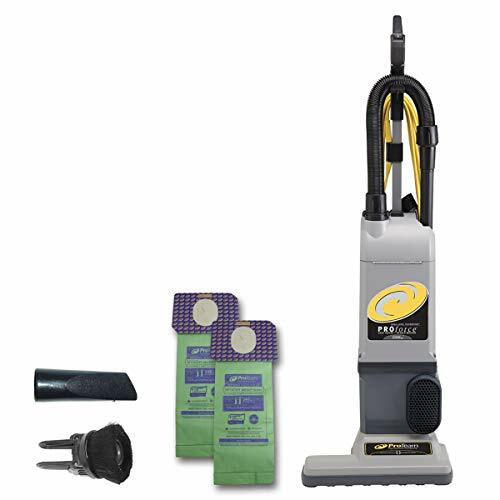 The Eufy HomeVac upright vacuum cleaner might be the one that you are looking for. Its powerful suction will allow you to clean your house in just one session, saving both your time and energy in the long run. 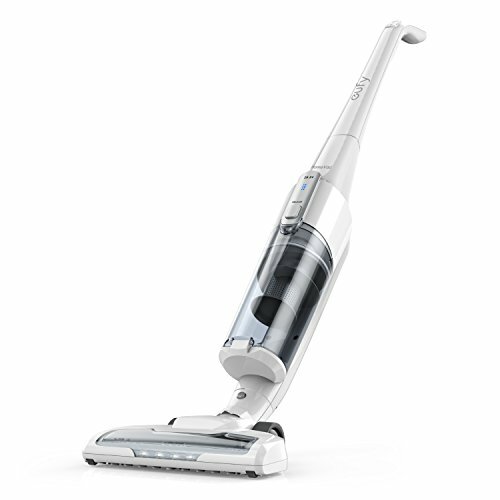 its large 2200 mAh Li-ion battery will allow you to use this vacuum for an extended period. Aside from that, this go-anywhere vacuum can be carried in all parts of the house for 50 minutes without the assistance of a cord. It comes with a huge 0.9L dust holder that you can detach later on for emptying dirt and dust. The wall mount and accessories are all included in the package. The manufacturer offers a 15-month warranty upon purchasing the product. The Bissell upright vacuum is ideal for getting rid of excessive pet hair in your house. It is made of quality plastic and metal for durability. And has a tangle-free brush roll with specialized pet tools. You can remove the pet hair anywhere in the house using this product. Furthermore, it has a new pet turbo eraser tool, a new snap on the handle and two-in-one pet brush. The brush on/off will prevent mess while cleaning. Its 8-feet hose length provides flexibility when cleaning the house. Its swivel steering and edge to edge cleaning with suction channel technology make it more convenient to use. The dust cup has a 1.5L capacity. 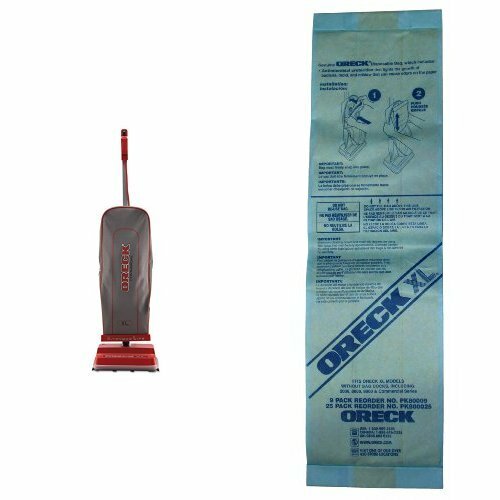 Take a look at the Oreck commercial upright vacuum cleaner. 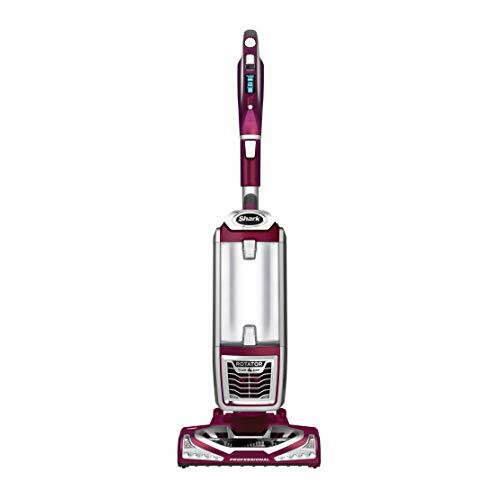 This eight-pound vacuum features an automatic floor adjustment that will allow vacuum to move and clean hard floors and carpets. You don’t need to change the manual settings to do so. This vacuum cleaner requires minor self-assembly upon arrival. Aside from that, it also comes with a set of 35 disposable vacuum bags. In that way, you don’t need to empty the dust cup and reuse it again. You can dispose of the dirt right after cleaning. The helping hand handle can reduce hand fatigue even if you use the vacuum for an extended period. Lastly, we have the Shark’s original full-sized upright vacuum. The detachable canister is great for cleaning hard-to-reach areas while delivering power to keep the brush roll going. Aside from that, it can also pick up little and stuck debris on the floor, ideal for bare floor cleaning. Its TruePet motorized brush and pet-multi tool are powerful and can be used for commercial cleaning. Now you don’t need to worry about allergic reactions thanks to this ultimate pet cleaning vacuum. Controlling the vacuum can be done within your fingertips. You can switch from carpet mode to hard floor with just a single switch. And it is also equipped with an anti-allergen complete seal technology and a HEPA filter. In that way, 99.9% of the dust and allergens are removed when cleaning.